Jump into the water. Oh! είναι πολύ κρύο!, Oh! The water is very cold. Giannis is one of those early birds, you can see wandering on the beach at dawn with his camera. Thank you Giannis. Fast motion to warm up and, I am gone for a wonder. I will be swimming from pier to pier, and back. The soft lapping of the sea is calming. From far away I can hear the singing of a group of women exercising in the water. A couple of men are fishing from the jetty. Suddenly a fish flying out would surprise me and I would swallow water. The sun is slowly warming up the surface of the sea. Where else in the world can you grab your flippers, and go for a swim in the ocean, before going to the office? What a nice way to start the day. 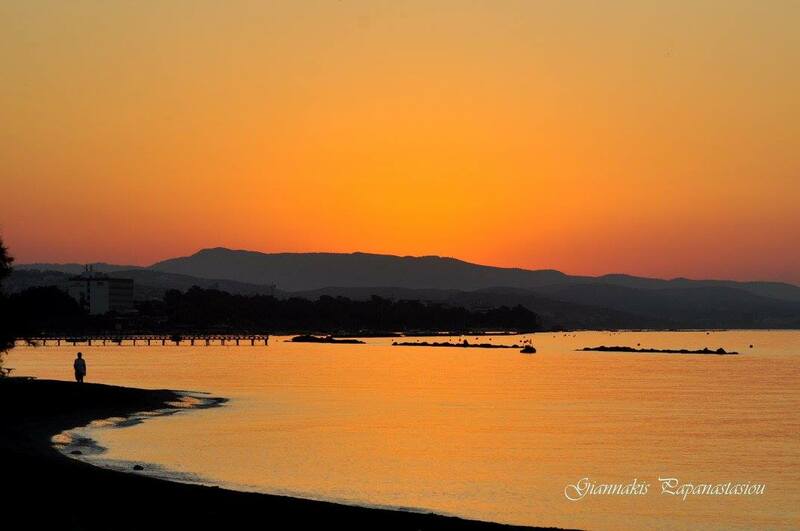 The mind at peace, I am wondering how life will be after Cyprus. We have been here for five years already and, time has come to spread our wings. What if everything is possible… because everything is actually possible. Those little daydreams in the deep blue took me far: I want to live by the ocean in a warm and sunny place and I want to open a Pastry Boutique. A Pastry Boutique, do you ask? Well, as far as I can remember this pastry comic book, “Desserts en Bande Dessinée” was my first pastry book and, I think it is the seed of my wild dream. I was about ten when this book got me started. I was baking Tarte Tatin, île flottante, Tuiles aux amandes, Quatre quarts and other classic French desserts over and over, week ends after week ends. Then I grew up and the passion for baking turned silent. When living abroad I like to miss France: the food, the culture, the history but not the desserts. And, satisfy my sweet tooth with French pastries can be a challenge at times. So I put my apron on and got back in the kitchen: macarons, Tarte Tatin, fruit tarts, clafoutis and macaron often… nothing fancy but something sweet and familiar. Now I am dreaming of a place where you would feel home, you would come to enjoy a traditional French pastry, you would meet like-minded people… Or maybe today, you just would like to be surprised with a dessert inspired from one of my trips? How am I going to get there? I don’t know. Am I scared? Yes, I am. Pursue that dream is going to be a long journey. There will be setbacks, some challenges, some doubts and maybe I will fail but there will be satisfaction, fulfillment, excitement, and passion. I am jumping into the water. I have been an accountant for long enough, and I now want to be a tremendous Pastry Chef! 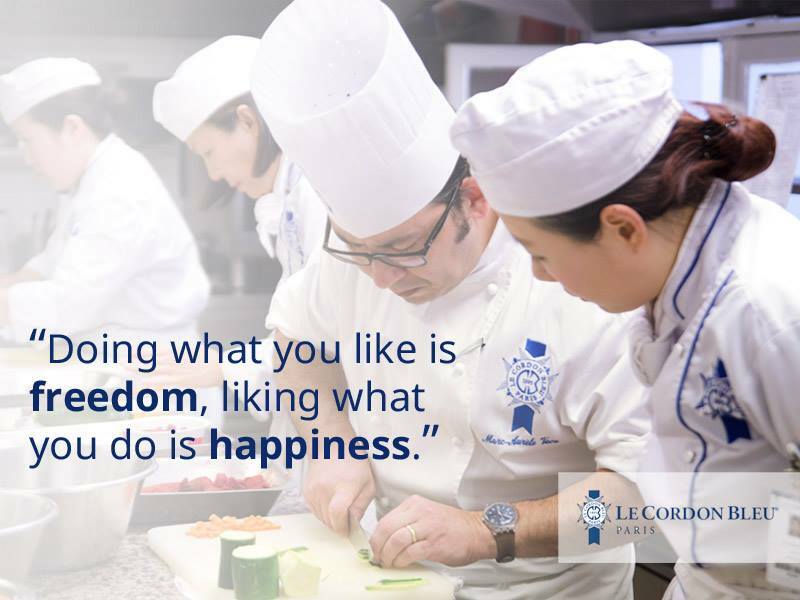 So after twenty years, I am back to school, attending Le Cordon Bleu Paris to prepare a Pastry Diploma, first step towards my wild dream. The water is only cold at first.